You are currently browsing the archives for the tag 'glass'. 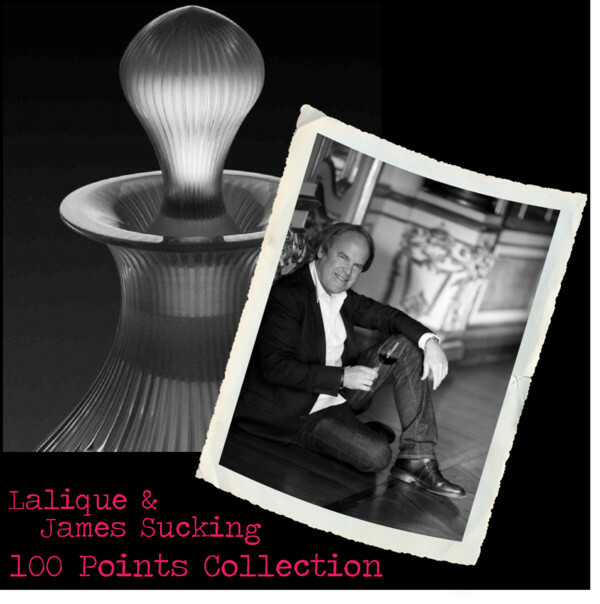 “Beautiful yet functional” is how internationally acclaimed wine critic James Suckling describes his new 100 POINTS glass and stemware collection, which is a joint creation with France’s most esteemed crystal maker, LALIQUE. The American has tasted more than 150,000 different wines over his 30 years as a wine taster. He dreamt for decades about creating his own collection of wine glasses. With the help of Lalique, his dream came true. The two designed the 100 POINTS universal wine glass, which was launched in September 2012 and that is wonderful to drink any type of wine – white or red, young or old, first growth or “petit château”. Being heavier than most other wine glasses on the market, it is a substantial piece of stemware in anybody’s hand. With a name referring to the wine scoring system, 100 POINTS is a hand-made collection that embraces a modern design: crystal fashioned by the best glass-masters, “U” shaped bowl and distinctive frosted rib stem to obtain the characteristic contrast of clear and satin-finish. 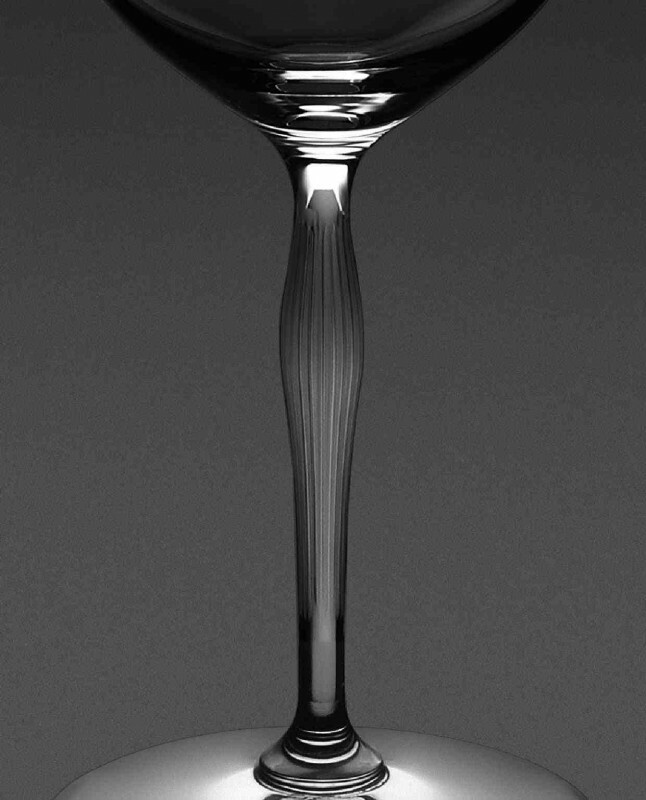 LALIQUE, which was established by René Lalique over 100 years ago, has a long tradition for making wine glasses beginning with ranges such as BARSAC and BEAUNE, which were both popular in the 1930s and 1940s. 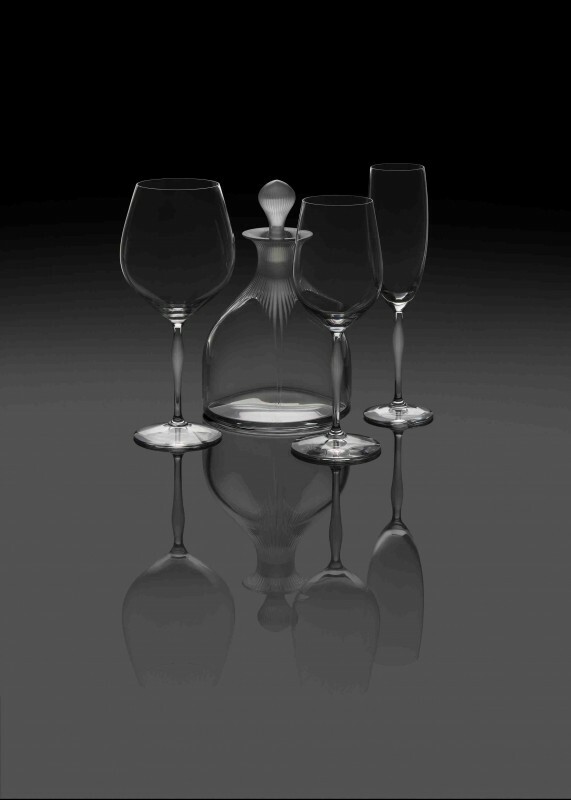 Really gorgeous is the new comprehensive 100 POINTS collection with eight pieces complementary to the universal wine glass: Bordeaux glass, Burgundy glass, Champagne glass and water glass, two tumblers of different sizes, wine decanter and water decanter. Drinking wine in a 100 POINTS glass is a sensual and delightful experience. It’s an everyday luxury for any wine lover.